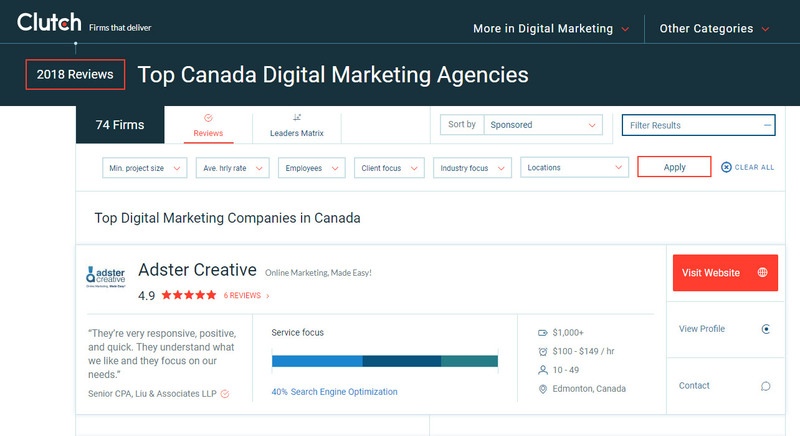 Adster Voted by Customers as 1 of the Top 3 Digital Marketing Agencies in Canada! Guest post provided by Sara Philibotte, Business Analyst at Clutch: Firms that Deliver! 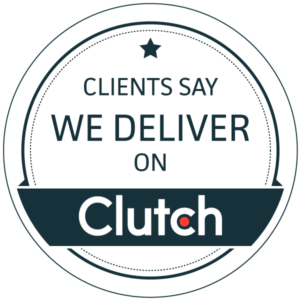 As an analyst at Clutch, I see thousands of companies come through our website. However, few are as impressive as the team at Adster Creative. Having worked with a diverse client set like Insight Psychological, Apache Pipeline, WorldHealth, and Mr. Electric, Adster immediately stood out to me as an online marketing agency with a diverse array of talents that extend across a plethora of industries. 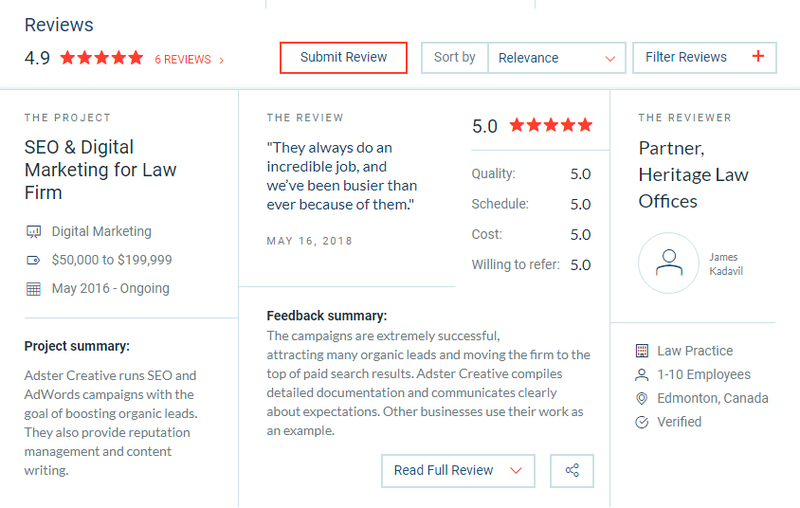 Clutch.co is a Washington DC-based B2B ratings and reviews platform that shows distinguished companies across different fields such as marketing and advertising agencies, app developers, and IT service providers. Each firm listed on our site undergoes an intensive research process, which examines over a dozen unique factors. Chief among these factors are analysts’ conversations with clients, in which analysts discuss elements such as a company’s services offered, results of the engagement, and project management style. Via our information, we forge connections between business buyers and business service providers for companies operating across all kinds of verticals and industries. Companies are ranked on Clutch according to their service offerings, their portfolio of work and clientele, and their ability to deliver. Adster Creative not only boasts a portfolio of impressive clients, but they stood out to our team as the only Featured Google Partner with featured Google case studies. These were factored into their impressive ability to deliver score. The strongest, most important piece of their ranking, however, lies in their perfect five-star client reviews rating. This impressive ranking has earned them a spot among Clutch’s best digital marketing agencies in Canada. As I conducted six five-star reviews with Adster’s past and current clients, I was continually impressed by their ability to not only offer a variety of services, but to also excel in every area and to also maintain an excellent customer service reputation. They have six detailed reviews on their profile, highlighting some of their skills in various industries, ranging from psychological services to insurance. I am excited to see how Adster grows on our platform and to hear from more of their clients! As our ranking methodology improves, we are happy to provide strong performers like Adster enjoy increased visibility and online reputation management through our platform. As the digital marketing industry evolves, I expect to see them flourish as they continue their innovative, customer-centric approach.